This month Its Bellaidea’s turn to host the Berry71Bleu challenge. and she chose something crazy and amazing!! She decided to break some rules and have lots of fun! FORGET ABOUT MODERATION AND GO CRAZY! Do something the way you have never done before. Here is my layout and although I used lots of mixed media I didn’t go as crazy as Bellaidea did! I did though try a new fun technique I’ve never tried before. I also did something different by accident lol! For the first time ever, I forgot to put a title on my layout!! I had this blog post all ready to go when I noticed, so I guess that’s what’s meant to be!! I used a beautiful flowery napkin and cut out the flower and the leaves. Once I separated the layers of the napkin I glued them on the page with Gel medium both under and over to seal it in like decoupage. The amazing thing is that they are a bit translucent and add a beautiful layer on the page. 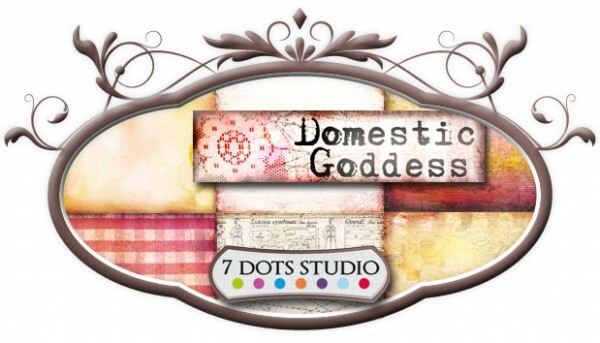 The papers are from 7 Dots Studios Domestic Goddess collection which I love. The large flower is Zva. Bellaidea also left this image as an inspiration to go crazy. You can do your own crazy thing or get inspired by this image. win a complete paper pack, then of course a random winner too! Guest Design on our blog here too! together with your photo, bio and link back to your blog. I love the way you did the flowers. Beautiful work. Finally I have internet! Long may it last tonight!! What a beautiful layout! I will admit to peeking at it in the drafts section at BB as I was in there the other night when you put it in hehehehe! And I owe you an e mail – I sent my draft off and haven't been able to get caught up since then 🙂 Now this is very pretty. I noticed the no-title straight away but I think we have got to the stage now that we know the rules and if we choose to break them occasionally that's okay. I've done that a bit myself this year too – very Iris Babao Uyish the no title thing!! And I love the decoupaged leaves too – that was the second thing I noticed too!! You are being very experimental and adventurous these days. Finding your own voice – it's lovely! love this..a lot of Mix Media and interesting details here. What a great photo Keren! Beautiful "home"! I just saw this over there and ABSOLUTELY LOVEEEEEEEEEEEEEEEEEEE it!!! LOVING the colors, the photo and that big flower!!!! 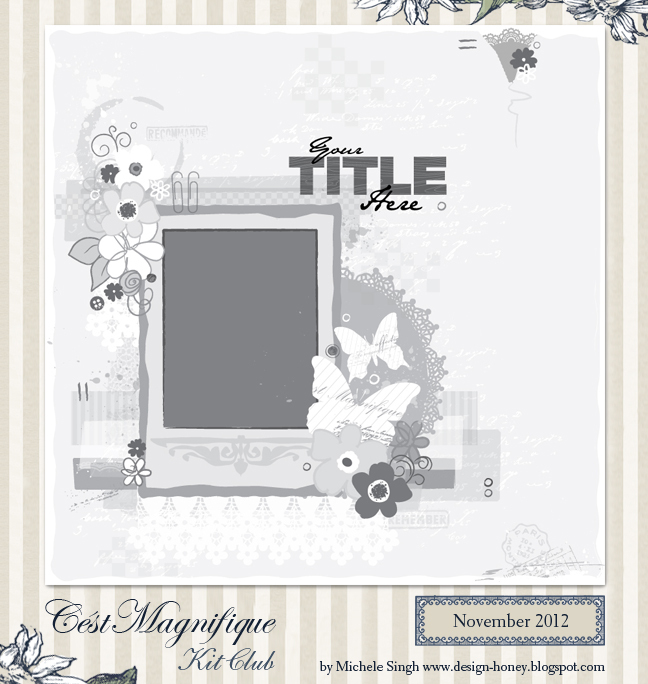 Gorgeous layout Keren, love the big flower and the colors look amazing! This is my thing, I love all the colors, I love mixed media and the use of various materials. It is a beautiful autumn layout has become. with a dramatic picture (She seems in this photo the nature in all its beauty want to embrace it) makes this layout complete. great color tones keren, the clustering of the embellishments really complement the photo. Wow! Fabulous! Love the mix that you've done with the design! Looks great! stunning page cool colors you have used! I love the colors and texture! Gorgeous! Haven't been here in awhile..You did an amazing job on your LO! Love the fall colors.. I am in AWE, Keren! Amazing colors and techniques!! !